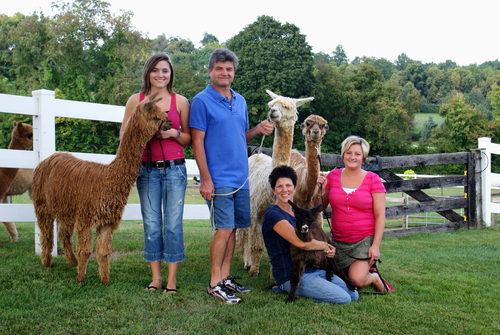 Suri Alpacas of Shiloh Farm is an alpaca farm located in Shermans Dale, Pennsylvania owned by Gary and Michele Siplivy. 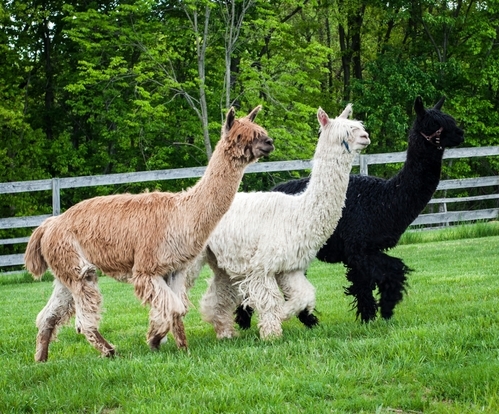 Suri Alpacas of Shiloh Farm was established in 2007. After two years of research, farm visits, volunteering at local shows, and attending many seminars, we decided to purchase suris. With the purchase of our first bred female, we had great mentoring which we also strive to pass on. We are committed to raising manageable suri alpacas. We have carefully selected award-winning herd sires to achieve our goal in increasing our herd. Our goal is to produce excellent conformation, great lock structure, and outstanding luster! After 6 years of boarding our suri alpacas we have been greatly Blessed to finally have our own place!!! We have moved to a beautiful 6.5 acre farm in Shermans Dale Pa, Perry County. Life on the farm is awesome and every day that goes by we learn something new about these beautiful animals!! !